Kev’s really done a fantastic job. 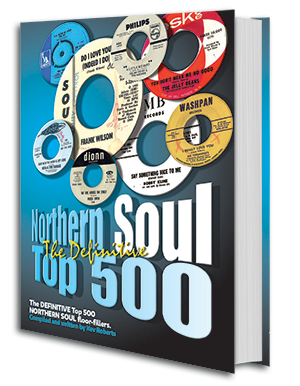 "The best selling book on the genre"
The Northern Soul Top 500 is a fascinating read. A book that carefully segues the scene's most popular songs to the Rarest of the Rare. The mystical world of Northern Soul is captured in all it's underground glory. With more than 13,000 sales, it remains the selling book of it's type to date. Top 500 is available now from Amazon! Available as a download from www.goldsoul.co.uk also on Kindle.